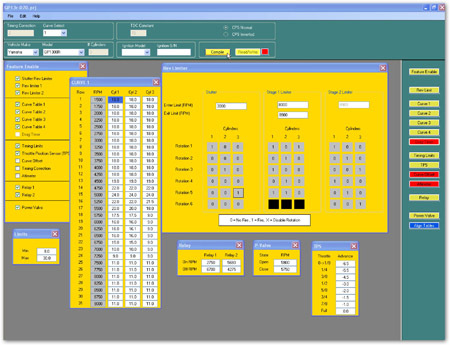 Advent's free PC based application software provides the user with a well organized, easy way to program a full range of ignition functions. This includes designing timing curve tables, multiple rev limiters, controlling electrical devices such as boost, water valves, power valves, auxiliary fuel pumps, etc. Using the Curve Devil® you are able to connect a T4 ignition to virtually any engine found in the power sports market. The Curve Devil® connects to the T4 ignition using a USB cable (supplied).